Florence Helbing is a PhD student in the Slavic department at the University of Pittsburgh. 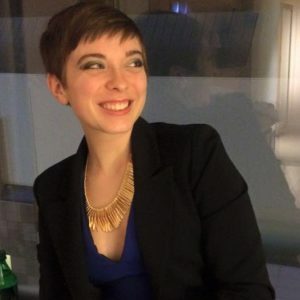 She earned her BA in Russian and Spanish at Dickinson College in 2013 and has since gained a professional background in digital media and video game translation. Her current research interests include the role of technology in shaping consciousness in early Soviet literature and the role of contemporary digital technologies in destabilizing the mind-self-world relationship in their users today.